Arcade Content director Lebogang Rasethaba recently directed two short documentaries for Operation Smile as part of Y&R South Africa’s gutsy live cross-platform idea #Operation45. In South Africa, one in every 700 children will be born with a cleft lip or palate. #Operation45 piggybacked on South Africa’s biggest soccer event, the Soweto Derby between Kaizer Chiefs and Orlando Pirates, to demonstrate that it only takes 45 minutes to perform a cleft lip correction surgery – the same amount of time as half a soccer game. Nine-month-old Alexzander Coetzee and 11-month-old Ofentse Sithole were both born with cleft lips. During the Soweto Derby, the two boys were introduced in pre-game commercials on Supersport before receiving life-changing corrective surgeries live during each half of the game. Soccer fans were able to follow their progress as presenter Sibongile Mafu interviewed Dr Anil Madaree before and after each surgery. The audience was also invited to follow the live updates on the Operation Smile South Africa Twitter page and via the #Operation45 hashtag. Lebo’s first #Operation45 documentary introduced Alex and Ofentse, while the second followed their life-changing surgeries on match day. These documentaries were featured on targeted key media like EyeWitness News, Huisgenoot, Parent24 and Soccer Laduma. Lebo is currently filming a third documentary, which will follow their recovery and the impact of those 45 minutes on their lives. Follow #Operation45 and @OpSmileSA to watch the progress of these two brave boys or join the team at http://www.operation45.com and volunteer, donate or register a child. See more of Lebo’s brand films and music videos here. Arcade Content's Kyle Lewis continues his run of hit music videos with War Ready for hip hop star, Cassper Nyovest. Arcade Content’s Kyle Lewis directed the Creativity Unites call for entries promo for the Loeries, which will bring the advertising industry from Africa and the Middle East together in Durban, South Africa this August. Arcade Content’s Rob Smith won two video Bronzes at the 2016 Bookmarks, South Africa’s premier digital awards. Arcade Content’s Kyle Lewis directed Exodus, a nine-minute short film showcasing five tracks from South African rapper Riky Rick’s gold-selling debut album, Family Values. Arcade Content directors have five nominations in the Branded Content and Online Video Production categories at the 2016 Bookmarks, South Africa’s premier digital awards. Sanlam One Rand Family has won four Golds at The Midas Awards in New York, the only awards show to recognise excellence in financial marketing and advertising on a global scale. Sanlam One Rand Man, directed by Arcade director Rob Smith for King James, won the Black Spear for Most Effective Use of Content at the Assegai Awards. Creative Circle has named Sanlam One Rand Family Integrated Ad of the Month for May-July 2015. Arcade's Rob Smith directed One Rand Family for King James. Riky Rick calls FUSEG "best music video of my career"
Arcade Content’s Kyle Lewis directed 'FUSEG', the new Riky Rick x Cassper Nyovest x Anatii music video. Arcade Content’s Lebogang Rasethaba directed In the Castle of My Skin, a new music video for award-winning UK jazz band Sons of Kemet. Arcade Content’s Lebogang Rasethaba directed Ziyabanda, a brand film about the first track made at -2.5°C, for Castle Lite, the only beer lagered at -2.5°C. Arcade Content’s Kyle Lewis directed 'Africa Is Absolut', Absolut Vodka’s promo for the MTV Africa Music Video Awards, taking place in Durban in July 2015. Future Sound of Mzansi is being streamed over three episodes on Thump, VICE’s electronic music and culture channel. Arcade Content’s Lebogang Rasethaba has found his rhythm with two brand films about South African dance culture. Arcade Content’s Lebogang Rasethaba co-directed A New Belief: The People’s Race with German Stephan Wever. The inspiring short film celebrates the Nike Soweto Marathon, which returned last November after skipping a year in 2013 for the first time since it began in 1992. After winning Best Music Video at last year’s South African Music Awards (SAMAs), Arcade Content’s Kyle Lewis is again one of the five nominees for this year’s prize. He’s up for In Defence of My Art, Tumi’s music video featuring Reason and Ziyon. Arcade Content’s Rob Smith won the only Gold for Branded Content at last week’s Bookmarks, South Africa’s premier digital awards. Arcade Content and Egg Films’ directors have five nominations in the Branded Content and Online Video, Audio and Music categories at the 2015 Bookmarks. King James' One Rand Man campaign for Sanlam won a whopping five Golds and a Silver at The Midas Awards in New York. Arcade Content's Rob Smith, who directed the One Rand Man brand film for King James, congratulates everyone involved. Arcade Content's Rob Smith was the brand film director behind the winning work in both Digital and Experiential at The Creative Circle Ad of the Month awards. Rob directed the One Rand Man Sanlam brand films, which came first in Digital and third in Experiential, as well as the brand film for the Johnnie Walker Meet Your Match campaign, which won the Experiential category. King James was behind both campaigns. 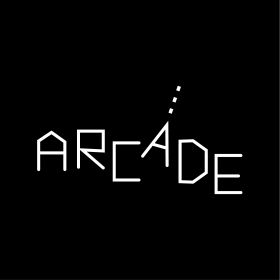 ARCADE is a division of Egg Films that produces content that falls outside the realm of traditional TV commercials. This includes brand films, web series, music videos and more. We are breaking the mould of commercial filmmaking with a more minimal, guerrilla style of shooting but with all the backup of an established production company. We are no longer constrained by how long or short content needs to be, freeing us to focus purely on engaging and entertaining a specific target audience. In today’s world of super-short attention spans it’s all about making content that audiences want to watch. Branded content isn’t going to replace traditional advertising any time soon because it’s not at the frontline of selling, but it is filling that essential and bountiful space between the hard-sell and the consumer’s emotional breeding ground. Arcade represents directors Lebogang Rasethaba, Rob Smith and Kyle Lewis. Egg Films’ multi-award-winning roster of directors is also available for any work aligned with Arcade’s style of producing content. Arcade handles productions of any size and budget with creative skill and vision, collaborating with agencies and clients alike. The only thing we don’t do is TV commercials; that we leave to the other guys – Egg Films. Lebogang will continue to produce commercials through Egg Films. Arcade is owned by managing director Colin Howard, director Lebogang Rasethaba, and producer Will Nicholson.